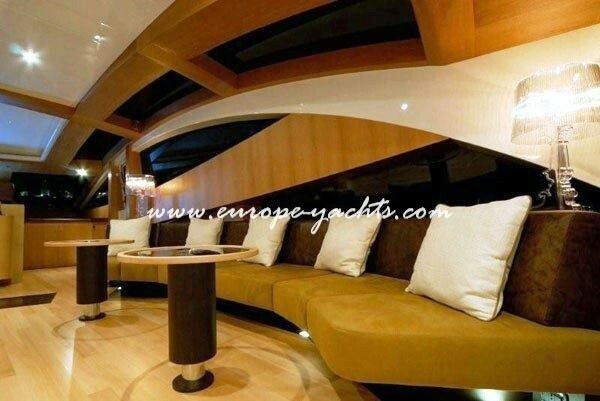 The Canados 90 Alea was designed by the Luiz De Basto Designs studio, and features very interesting tech – styling solutions. 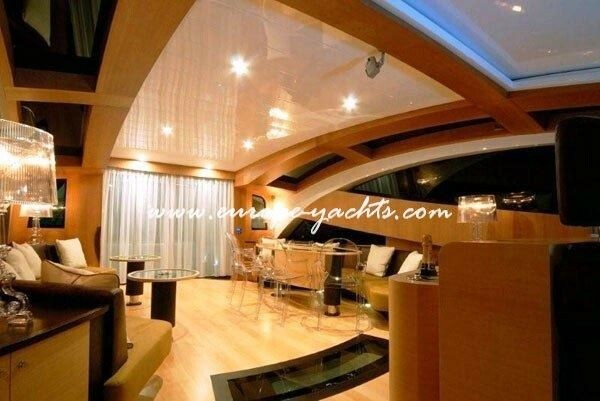 The interior lighting is provided by giant glass windows running along the superstructure on both sides of the yacht. 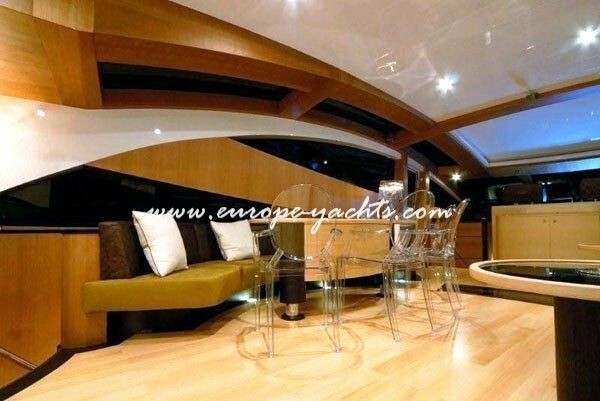 The yacht also features an open top roof that which can be open in fine weather night or day to enjoy the starry night or the beautiful afternoon sunshine. 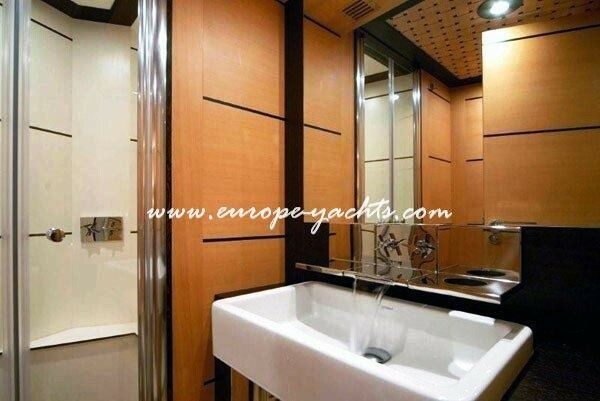 Motor yacht Canados 90 Alea interior is finished in high quality materials. 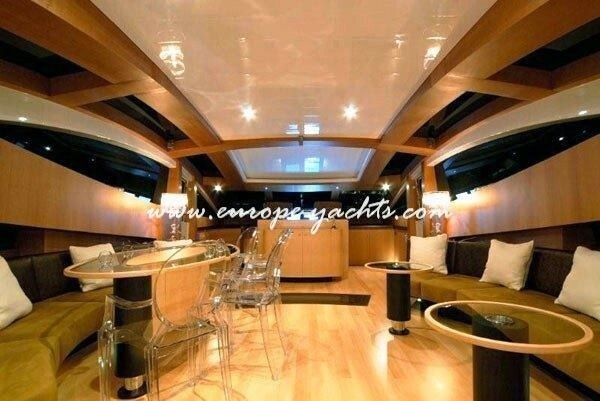 The deck house features amidships a saloon with a dining area separated from the forward wheelhouse by a multi – media console with a disappearing LCD TV. 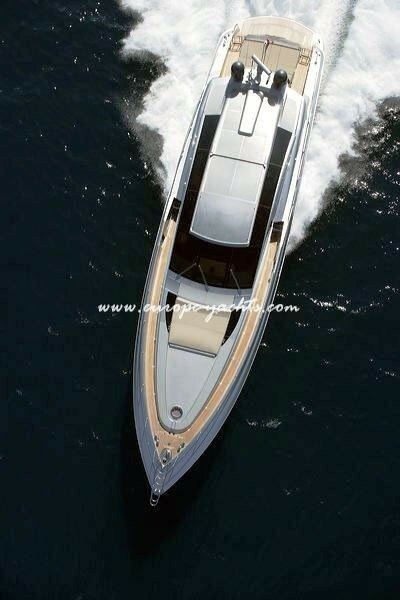 The pilot area features a centreline bridge with two ergonomic chars. 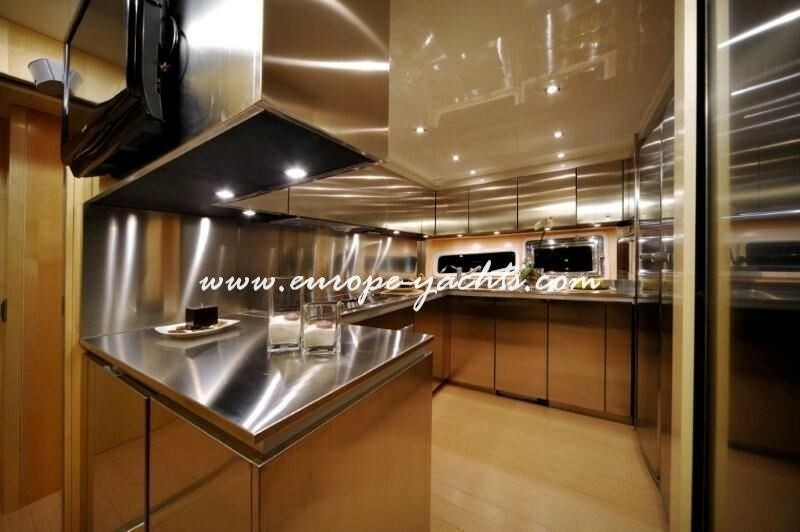 The exterior of motor yacht Canados 90 Alea is equally impressive and usable. 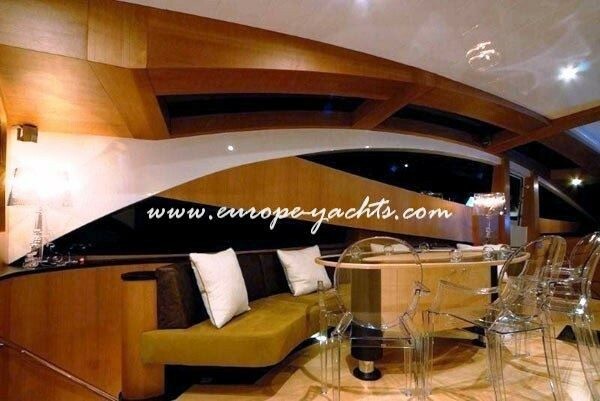 Outside on the aft deck, there is a huge area for sunbathing and forward of it a dinette with a crystal plated table with a disappearing electro – hydraulic movement system. 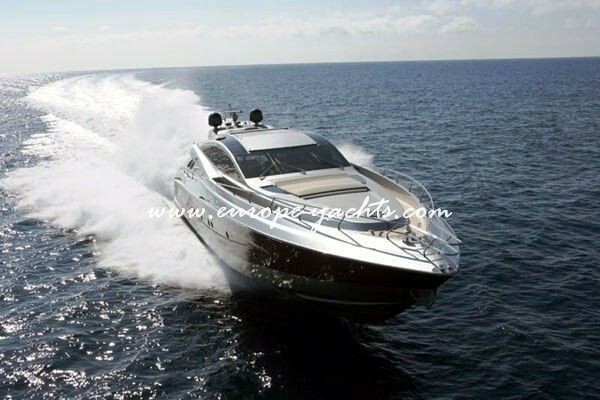 The Canados 90 Alea swim platform is access via stairs each side of the aft deck, behind which is the garage made for tenders with enough space to nestle a tender and the water toys. 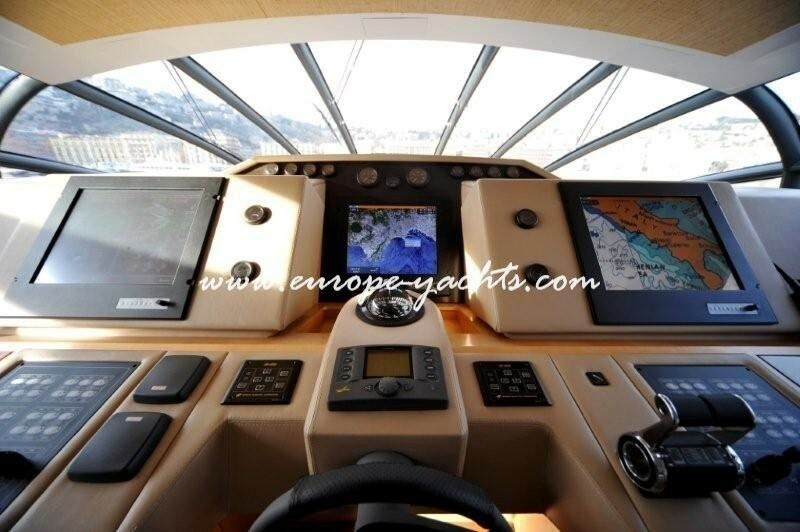 A further sun pad is located on the forward section of the yacht. 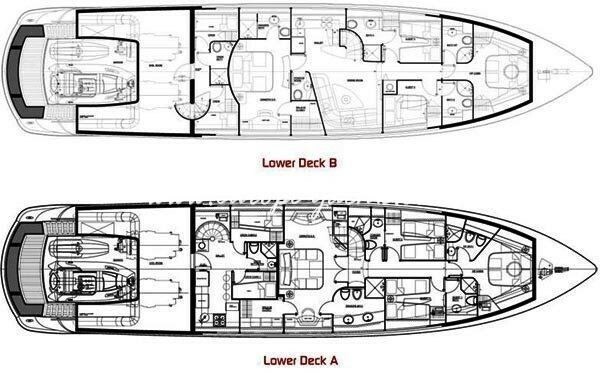 The Owner’s and guest areas run from amidships to the forward end of the lower deck accessed via stairs located in the wheelhouse. 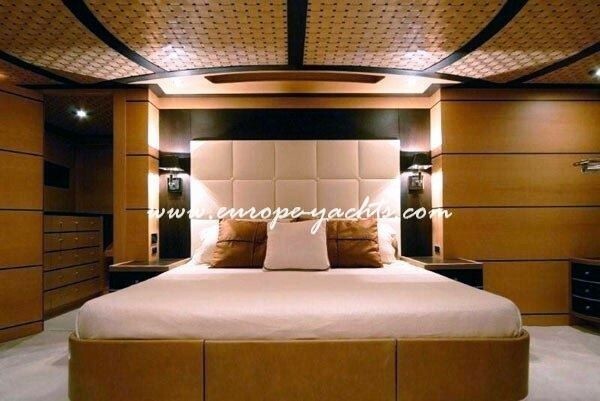 This area features a full – beamed owner’s suite with central double bed, dressing room, a small sofa, desk and ensuite facilities. 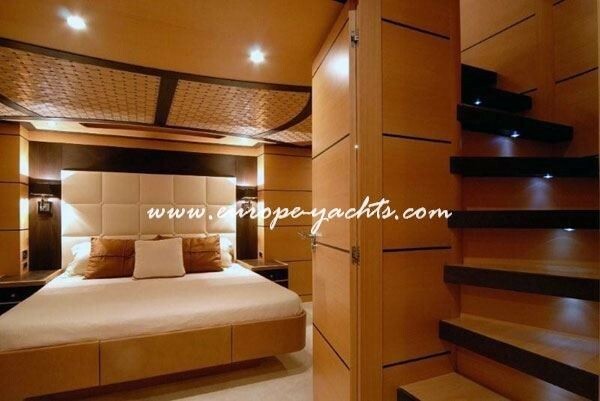 There is also a forward VIP suite with wardrobe and ensuite facilities and 2 twin cabins with single beds, a closet and ensuite facilities. 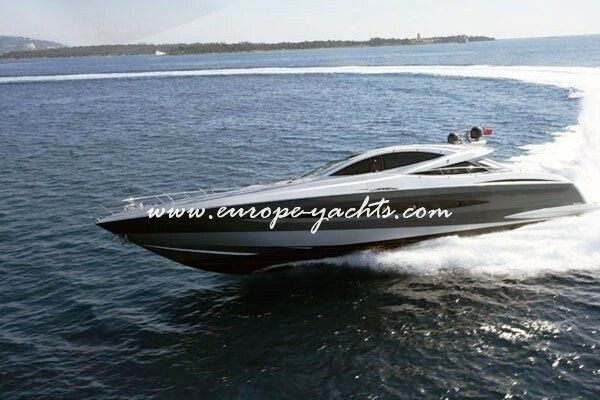 Luxury yacht Canados 90 Alea has powerful twin 2400 HP M.T.U 16V 2000 M93 engines enabling her to reach massive speeds of 43-48 knots. 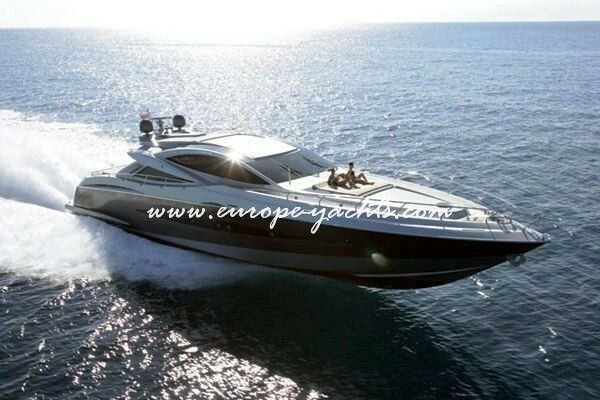 She has a crew of 4 and is based in Athens, Greece and the Eastern Mediterranean year round.